A special greeting to all our friends this Thanksgiving! 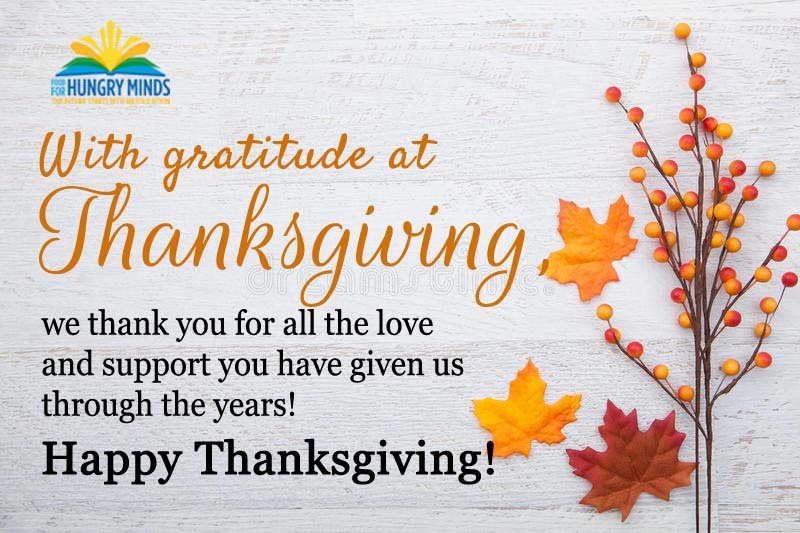 There are so many reasons for us to be thankful at Hungry Minds. We are grateful for all our kids, our families, teachers and staff. Of course, we are thankful for you, our dear friends.